Top Quality Work For Fair Price! European, Asian & Domestic Cars. 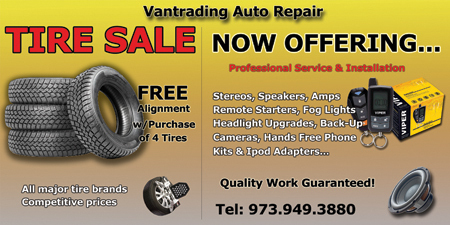 Vantrading, LLC is prepared to help you with all your automotive needs. We strive to solve all problems as thoroughly as possible on your first visit. You'll be hard-pressed to find the same level of expertise that our auto mechanic specialist provide! We have years of experience working on both domestic and import vehicles of all makes and models. With fair prices and excellent service, we are determined to keep our customers satisfied at all times. SUNDAY 7:30 A.M. – 6:00 P.M. Copyright © 2011 Vantrading, LLC. All rights reserved.